Whenever you plan to do something different including starting a Startup, you need to think and give more time. Building a startup is not so easy and easier as well if you can generate an idea which will be innovative and solve the problem of others. At the same time, an IT startup can be a great way to keep the footprint in the business world. Though we know a startup needs a lot of work to implement it accurately and when it is something about IT industry, it has much more intention to arrange all the things in a place. With this in mind, I will talk from my experience about starting an IT startup. At the same time, I will point out the strategy which will work for every business startup. For keeping the sequence, I will show you roadmap step by step. 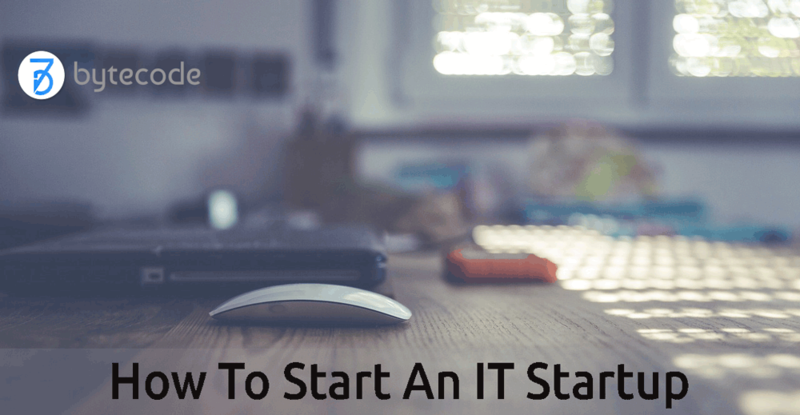 So, if you are planning to start an IT Startup, stay with me, and you may get some information which can help you to start more efficiently. You can take a look first for getting the complete ideas of the content. How to Build a Startup Business From Scratch? Important to realize, I have takes the sources from different startup, interview, and blog post to keep the sequence and providing something special. By the same token, you can get some point similar, as they are providing priority here. So I have kept the point as they have told. So, take it as necessary. Let’s go to the main content. First of all, I will discuss from the beginning of the startup. As you are going to plan for a startup in the twenty-first century, you have to become smarter, and you need to imagine the overall idea in a workbook if you don’t want to fail in the starting level. With this in mind, you need to think the below 4 things. You will need the niche first when you want to build the business startup. It will define how much can you become the success and go ahead in the future. So, what will you do here? In my case, I suggest doing the following things. Find a specific problem you can lead it: The original ideas need to solve a problem. As you want to build a startup, you have to keep attention here. You have to analysis from some of the problems which you can grow the solution than the competitor. It is the most crucial area. You have to think you can lead the niche and you can attract the concentration of others. Research if you can raise it: Yes! Follow Google Trends or more places for your startup, and even you can talk with the experts in your niche. Collect data as much as you can. It will help you to take a great decision. You have to know why you will become the success or what is the weak point of your competitor. If you think all the challenges go with you, then make one problem which can help you lead and bet others. Notably, if you fail to choose the right product or service, you can’t go a long way. As you want to start a startup business, you have to begin very fast. That does not mean you have no time in your hands; I am trying to realize you do not need to wait for an excuse. For example, capital or resources or manpower. I will show you in the next part of the article, how can you start a startup without any investment. So, what does it need to do right now? Generate a brandable business name: Show your creativity here and try to create a brandable business name for your newborn startup. Registered the Domain name with the business: Check out here, how to choose a domain name. Create a professional logo: As you will need the logo to use it everywhere in the business, so spend some money here to create an eye-catching and professional logo. See the logo design service details here for the attractive logo for your business. Design the website creatively: For digital business, a website is a showroom and presentation of the brand for your startup. For this reason, be careful of building a website with great UI and UX. See how can you get the fantastic website design with affordable budget. Create the social media profile with the business name: Social Media is the best place to promote your business. So, make social media profile with the proper information and upload the profile picture and cover photo as well. See how can you outsource social media service. The first thing to remember, it is the fundamental thing for starting the business. Though it is the very beginning of the startup and it will affect the rest of the work of you. Now it is the time to make the overall plan for your business. Without the proper plan, you can’t go ahead. You have to make the plan at least 5 years, and then you need to divide it. How much small part of the plan you can do, the success rate will be much bigger. For this reason, you have to make an excellent work plan by dividing yearly, monthly, weekly and even daily basis. You have to build the habits to follow it. On the other hand, you need to manage and track the data of previous month or years to examine the progress and bringing new routine and work plan. Overall, if you can do it uniquely and by following the data and metrics, you can go a long way and at a time, you can get the desired level. If you have the big plan and want to establish a startup actually, you have no way to work alone. You need to generate the ideas and system to include someone energetic in your team. If you can distribute the work to others, then you can go far away quickly. At the same time, if you think you will do it alone, you can’t go a long way. For this reason, as an entrepreneur, you have to make the goal of distributing the task to others, and it will ensure the success rate of you. By the same token, it will measure the success ratio of you. If you are going to start a tech startup, then you can grow it without spending any money at all. You are thinking how it is possible? Especially, it can happen in the tech or digital startup. In a discussion on Quora, a lot of successful persons shared their experience how they build a company with no money. I will point some of the important factors from their discussion. It will help you to understand the matter easily. Know the Niche and Do not do anything excessive: It is necessary to become experts in the area of your startup. That means you have to become an expert in your niche. For example, you want to establish an IT Firm with Web Development niche. You should know the web design and development. On the other hand, you want to build a Digital Marketing Firm; you should know Search Engine Optimization or Internet Marketing very well. Then you can think to establish a company. Another key point, it is a tough work to build a tech company without keeping practical knowledge. Now the point is- Don’t do anything which is not mandatory at the foundation level. For example, you do not need to handle Tax account or insurance. It will need to spend some money to manage the documents or opening the file. For this reason, no need to pay anywhere which is not necessary for you now. Sell Before Starting: It is the most important area. As you are expert in your niche, you have to start selling your product. As you are working in the web development industry, you can offer the company to develop their website and give them some special discount (For example, 25%) as presale customer. Then try to take some booking money. Contact as many companies as you can by offering the presale customer. You can build a custom template for emailing. Important to realize, as you are a tech entrepreneur, most of the time your product will be no physical existence. For this reason, you can take presale orders easily if you are really experts. If you sell software or digital marketing service, you can do the same work. If you try in some places, you will realize the matters. So think, plan and start to sell products as presale to bring some cash in your hand. Find a Talent with Share: Now you need to manage a co-founder in your business. Notably, you can think you can establish a company himself, but it is impossible in most of the cases. For this reason, it is right decision to find a same minded people to work with you. In this case, you should take the quality of the persons. You should fulfill requirements of the newly born startup. So, it is wise to find someone who knows something which you do not know, but necessary to go ahead smoothly. At the same time, it will add value to your company. Now deal with him how will you share the company. If you can handle all the things, start with him. Do not forget to make paper contact if possible and don’t break the commitment. Otherwise, you can’t go a long way. If you see the large startup in the IT world including Apple, Google or Microsoft, you will see they have done the same work. So, choose someone very wisely. Promote Your Product with Relations: If you can manage a decent amount of money with presale, then you can invest some of them as marketing. As I am discussing starting a startup with no money, so I will show you the process of spending no money. Keep connected to the Skype, Slack, LinkedIn or other professional Social Media, Group or Forum. Communicate with them and hear from them and share your story as well. In the meantime, tell about your product and request them to share your products in their connection, social media or blog. It will bring some sales to you. Continue it for several months and make good relations. If you can spend money, then you should do the above work also. It helps to make contact with the similar minded people from all over the world, and it is very important to manage investment or selling the products with words of mouth. Invest from the Earning: If you think all the time to work without money, the results will not be good. For this reason, you need to invest intelligently in growing your business. Always meet with similar minded people to learn new things and travel as well, it will help you to take strict and healthy decisions. Arrange the meeting with the shareholder or important persons in your company before taking any essentials and big decisions. It will help you to implement it accurately. Do not forget to think big about making your startup a million dollar’s company. Someone thinks starting a business in this era is not a easy work. It is not wrong at all. By the same token, opening a new business was not easy at any time. It needs to do smart work and should ensure the below 7 things to succeed. Let’s discuss the matter. 1) Maintain Smart Timing: You will notice I have told to maintain Smart Timing. That means following the time, and smart timing is not same at all. You have to follow the data of the previous days to do anything here. For example, you want to launch your company, but you should pick a time when you will get more value. At the same time, you need to make the details plan of where and when you need to do work. If I say in a word, I should tell you that you need to make the timing plan to spend the whole year and divide it into every month. The situation can come differently in some cases, and your timing will discuss the worst days as well. 2) Right Distribution of Money: Most of the time, we don’t follow the latest strategy for spending the money. As you are starting a new business, you have to research in the similar businesses to make money plan. You need to do the exact and complete plan for growing your business. The technology is changing day by day. For this reason, when you plan the money distribution for your business including salary, promotion or investment, you have to look in your time and situation. You can see some great platforms where you can place or establish your startup, and it can bring huge benefit. At the same time, you need to work for employee too for making your business models. You have to think do you need any persons who will work for digital approaches of your business because it is the time of thinking digitally to make you different. 3) Self-Discipline: As you are a startup, it is essential among the business. You need to work more time than an established company. I am not telling to forget the rest of the world or your family time, but you need to think about the years, months and days to make the business grow up. If you are from a well-known company, then you can leave the business for a day or week. It will not make huge issues, but if you start to do at the starting level, your business may fall, and you can lose all the things. So, At least first 1 or 2 years you need to become more disciplined or conscious to make the business profitable. 4) Sharp and natural social skill: For being the entrepreneur you know the importance of relationship building. Even I have seen the two years of a business goes for building the relations with the industry people and your target customers. The marketing system has gone, and you need to become smart before showing your business to anyone. It will increase the brand value, and you will be accepted cordially by the industry. At the same time, you need to continue to work the targeted company who can be your customers. That means you have to take care the industry leader and the targetted company leader to grow your business smoothly. It may take time, but it will take your business in the upper position with great reputations. 5) Build A Great Business At One Time: What it would be if you think a mission rather than multiple at a time? Markedly, you can give all of your time to grow it. When you are thinking about a startup, it can bring all the things in your life. You can get the chances of leading the country with this. Yes! It is true you have many more ideas to implement it, but it is the good practice to make one idea successful. Ultimately the other will be easier to build in the future. You will get time and human resources for working with others. With this in mind, first- work with one and then try to give all of your time, thinking and effort for it. Surely, you can make it as a leading business in the world. 6) Figure-out the Money: I have told you before about the distribution of Money. So why again about Money? Because money is not all, but something which can stop the whole work. With this in mind, you have to careful here. If you just store the money as a business owner, it can regret you later. For this reason, you have to learn to reinvest it. From the starting of the business, you have to pass a lot of days without money for making the surrounding happy. At the same time, you need to learn how to spend and invest the money for increasing the profit. 7) Be Visionary and increase quality: When you start the business, you may have the lack of knowledge and quality in some areas. When you will see your business is growing then you need to increase your quality. At the same time, you have to visit the industry leader from the country or abroad to build it accurately. You can bring new services or you can add value to your existing services if you want to stay here for a long time. Without being extraordinary you can’t bring any change in your new startup. So be exceptional and do the work with the well-organized vision to become great. I have talked to launch your startup, and I will share why do you need to start it faster. You can generate a lot of ideas, but if you do not start, it will not come true. I will show you the top 10 tips for launching your startup faster. 1) Just Start: Sometimes we waste huge time planning the ideas. After some days we get another idea and pass the time on this new thing. Thus we can’t start anything. So, you have to start first from the ideas which you think this is perfect for you, and it goes with the digital time. Start today. When you want to start, do the below things. Find out a brandable name and register the domain. Take time here. As it will be your future and all will know it. Design the Overview of the company and how will you go ahead. 2) Design the Product: In some cases, we can’t design the product. For this reason, you have to work here with proper research. Make the product innovation in the market. You can sell physical or digital products which have no physical existence. It is no matter. The presentation with the excellent description and why they need it selects why you can sell the product. So, give more times here. Your reputation will depend on your products. 3) Keep some answers for later: Most of all, feel hesitation as they do not know all the things which are necessary for their business. Notably, as a man, you may not have some skills, but surely it is not your fault. If you know how to sell and how to bring the company in the profit, then you can take some answers from the experts. Don’t sit by thinking about it. Just go forward and keep in mind what you don’t know and capture it at the right times from the right people. 4) Hire Remote Workers: In the digital age, you have the quality of maintaining remote workers. It will save you lot of money. At the same time, it will help to get talented persons from all over the world if you can choose the right persons. So, it is very good to hire someone who can work from the remote. If you can find out the talented persons for you from the remote, it will save the money and time as well. 5) Manage Contractual Workers: Without taking the full-time employee on a permanent basis, managing contractual workers can bring more output for you. In the starting level, you need more work and service than maintaining formality. For this reason, you can make the contract to work with you permanently but make an agreement to work on the contractual basis for 1 or 2 years. It will help you to bring more revenue from the workers. If you get the right work, you have no problem to satisfy him. 6) Find A Cofounder: Most of the time, you can’t do all the work without a co-founder. For this reason, it is right decision to find out a co-founder who can add value and can take appropriate decisions for your business. Your quality will define if you can arrange a good team who will think like you. It is very important to bring the business to a profitable platform. 7) Find someone who will push: The success of the Apple company was Steve Jobs and he has described that he knows how to work and when needs the resources. He drives the worker for making it happen. For this reason, you need the person who will do it. You can also work for it. On the other hand, you can find someone including co-founder, friends or anyone who will work to support the team and will inspire/push to finish the work accurately. 8) Forget Money from the start: You should not think about the money for the first one or two years. You have to realize it will not bring any money for the digital business. If comes any money, you will think it is an inspiration. Most of the time, we forget the reality of generating cash you need to make the basement. For digital business, it takes more time than traditional marketing. As your service will be sold on the online, it will take time to spread your brand. Not most of the business or niche, but it needs the time to grow the reputation of a digital company. 9) Promotion: You have to keep a decent amount of money for advertising. You have to try for every possible way and even in some cases, you need to try in the traditional marketing (Place/country Basis) to outreach your business. As you are thinking for a startup, you need to consider here most of the time. You have to make the plan when and how you want to promote your business. At the same time, you need to research your competitors to know how they get the sales. You have to modify those things too. 10) Analysis Data for next Approaches: In every month after 6 months of launching of your business, you need to analyze the data of previous month. Why you are getting the sale for this product like other or why others are getting the sale not you like this. If you can keep track of this researching you can be successful. You can do it in every month or after 2/3 months. Surely, your upcoming startup will get the life if you can follow the above things. For every business, you need to do some initial work when you are ready to start a business, and you have done planning of your business. The same ways need when you are going to start an IT startup. 1) Making your business legal: For Startup, you need to manage business legal at a time for doing a lot of tasks. If you do not do it from the starting level, you need to do it now. For handling business work, you will need it. If you are doing share business, you need to do it also. Make clearance with the help of legal authorities. For example, Sole Proprietorship, Partnership, Limited Liability Company (LLC), and Corporation. In every area you have a lot of works, take the help of experts to make it neat and clean. At the same time, make it available for all the shareholder. 2) Registering your Business Name: Registering the domain name is not all for the startup. At a time, when you will think you should reserve the name for you, you need to register the business. For accessing the trademark and adding value to your business name, do the work with the experts and register the business name. It will help you to handle some work, and you have no issues which can make conflict in the future. 3) Seller’s Permit: When you will sell physical items in your company, you will need to get permission from the authority to sell it in the public places. At the same time, you need specific permission from the particular location. It will help you to avoid the hassle on the spot. At the same time, your worker will be safe from specific behaviors from the police or others. 4) Business Licence: If you register the business name and take the permission for selling the service or products, then you may not need as compulsory the business license. Though I will recommend making a business license from the specific authority for doing the business. It will help you to make the baking process efficient. You can take the loan and will help to avoid hassle again. 5) Small Business Taxes: As you are doing the business, you need to manage federal Tax file under your company. You have to submit annual tax for doing business in your location. So, you should make it for staying the safe side. If possible ensure self-employment taxes, Employment Taxes, and Excise Taxes. 6) Marketing Strategies: Your business will depend on your marketing strategies. Depending on location you need to bring some unique techniques ad it will define your credibility. If you can drive the particular attention to your promotional approach, you will undoubtedly lead the industry one time. Now maintain the below work for effective online marketing. 7) Selling your Products or Service: Selling the products or service is the main task for a business. If you fail here, no work can’t keep you alive. So, you need to work here directly, and promotional strategies will work for selling the products or service. Make new and actionable plan here to maintain the log. 8) Increase Customer Engagement: Your customer will promote your business one day and the formula for growing your business incredibly, you need this. For this reason, ensure good product or service and take care of customer engagement. 9) CRM (Customer Service Management): CRM can bring massive engagement to your business if you can do it perfectly. Make the database of the customers and make the connection with them individually in their liking methods. When comes the inbound marketing tactics then Customer Service Management (CRM) plays the vital role. 10) Funding: When your business will grow then you will need the fund for increasing the service area. At the same time, if you target another area or locations with the same service, you will have more persons to grow the business. Here you will fund. For this reason, you have to focus here, if you can manage fund/loan with easy conditions. You can contact and make the connection for the below types of fund. At last, we will learn what the most effective 10 steps from the above discussion for turning your ideas into a startup. If you are reading the guide still now, undoubtedly you are dedicated and passionate about starting your business. I will show you the summary of the below discussion. Let’s discover it in the short bullet point. 1) Research your Niche or Target Market: Before starting the startup, you need to research the market, your competitor, and your target niche and customers. Make a question yourself will it solve any problem to the customers and do you know about the niche. At the same time, can you compete with others? Do you have confidence in your niche? Write down the answer and make a list. Here you will keep the advantages or disadvantages of the present scenario on the market. Then take the decision if you can solve the problem. 2) Secure Intellectual Property: When you are confident and want to establish the company you will need to plan for launching it. At the same time, you need to secure Intellectual Property as the patents, copyright, and trademarks. Register Brand Name and Create a logo and website to run it. Now it is time to add products or service to your requirements. 3) Work for creating Brand: The future will depend on your brand. At a time, people will buy the products for getting the brand of you. It is not so easy to make the brand. But it can surely establish the identity of you. You can grow yourself as the leader in your industry. On the other hand, you can get popularity with the brand if you can keep targetting with different approaches. 4) Legal Documents: Never forget to collect all the legal documents according to your business. It will ensure to get fund and doing business in the different places. Arrange the legal materials, seller’s permit, business license and taxes paper. For making the brand and handling with the shareholder or signing with other companies for business purposes will help the legal documents. 5) Choose a Co-founder: It is mandatory to go a long way. Time will come when you can’t handle all the work. Otherwise, if you can find a co-founder who is motivated like you and know work in your niche, it will be beneficial for you. So, from the starting of the business, look for a perfect co-founder for your business. 6) Start Business Plan: A company depends on selling the products or service. At the same time, it needs an excellent procedure to provide the service. In this case, you need to make the plan for creating and delivering the service. 7) Pick A Workplace: Creative thinking and works need a pleasant environment. It increases the activity; it enhances the power of eternity. For this reason, you need an excellent workplace to work more time without any weakness. Most of the cases, the IT entrepreneur like to work from home and they think it is good for them. Though I will suggest to try in a different place if you want to make the team. It will surely help you to work in a helping environment. At the same time, give priority to your creativity and operating power for working from home or sharing coworking place. 8) Follow a Mentor: Mentorship is very efficient for the startup. You can also stay in the mentorship, or your co-founder can do the same work. If you think you need another mentorship who will work closely with you or the team, you can do it also. But it will depend on your working process. You can keep anyone who is the experts but does not want to work with you full time, but you can use him for the weekly or monthly basis for more efficient work or practice guideline. 9) Increase Investment or collect Fund: When you will follow the above action, then your business will need more fund for increasing the service area. At the same time, you need to increase the investment if you want to spread the company with more employee or space. At the same time, you may want to take second or third office for handling more client. Surely, there needs a lot of investment or fund. So, try to make planning from the beginning. 10) Depends on Data: At last, you need to work with the previous data and experience to widen your company or startup. If the main service is IT, then adapt yourself to the new changes or technology. Surely, it will increase the brand value, and you can bring new updates to your products or service. Certainly, the data or strategies from the previous time will help to take further decisions and implementing as well. Just fill-up the contact form or call us at +88 01716 988 953 or+88 01927 711 980 to get a free consultancy from our expert or you can directly email us at info@bytecode.com.bd We would be happy to answer you.